SS501 member Kim Hyun Joong has been cast as the male lead in the “MBC drama Mischievous Kiss" (written by Ko Eun Nim, directed by Hwang In Roi and Kim Do Hyung), which will begin airing from September. According to a spokesperson for his agency Keyeast on July 16, Kim Hyun Joong will play the male lead named Paek Seung Jo in the drama. The character he will play is a handsome genius boy who can learn anything one hundred times faster than others. In the original Japanese comic book, the name of the character was Arie Naoki. The story is about a genius but cynical male lead who has an IQ of 200. He meets an impatient troublemaking female lead and they fall in love. The original comic book was already made as a drama in Taiwan with star actor Cheng Yuan Chang as the male lead, so the drama has gained huge popularity not only in Taiwan, but also in Korea and Japan. 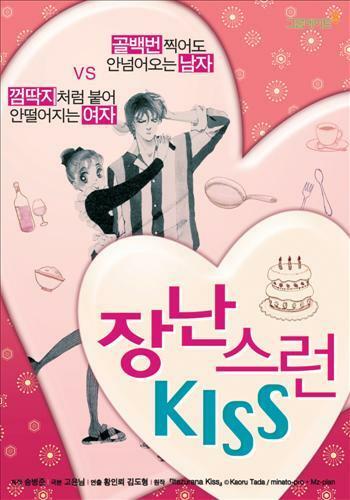 The Korean version of the drama will be produced by the production company Group Eight, which made the drama “Boys Over Flowers,” along with star production director Hwang In Roi, who made popular dramas such as “Nymph Of Shampoo,””What Women Live By,” and “Princess Hours,” and star writer Ko Eun Nim, who has written famous scripts for the movie “Bungee Jump Of Their Own” and the TV dramas “Rebirth – NEXT” and “Soul,” so the big production team has drawn attention. New actress Jung So Min has been cast as the female lead Oh Ha Ni (Aikara Kotoko in the original), who loves Paek Seung Jo in the drama. Oh Ha Ni does not have an interest in studying, but she has positive personality and loves Peak Seung Jo.